The Evolution Conference has become iconic, and part of the lore of psychotherapy. It is the largest Conference ever held solely on the topic of psychotherapy. 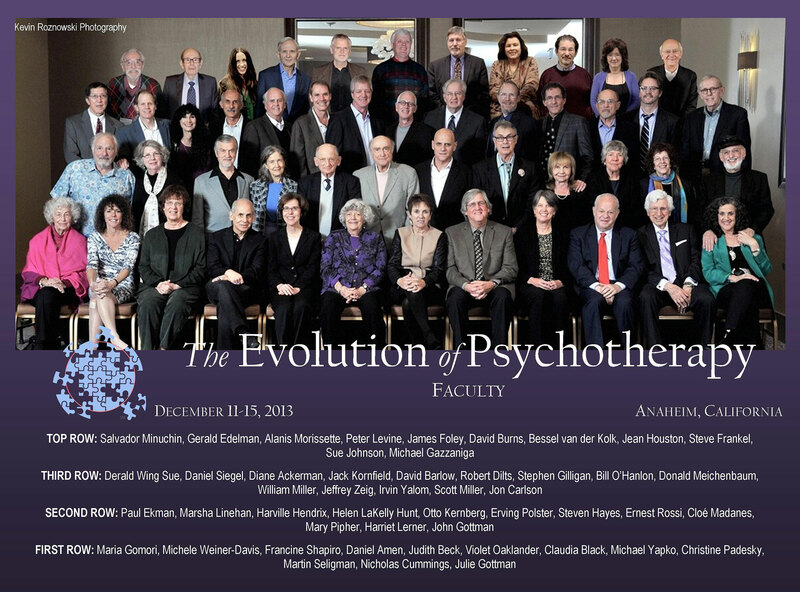 The Evolution of Psychotherapy Conference has been, since 1985, an international forum for masters in the field to meet, interact, and discuss a wide range of topics, including their current work and latest research, as well as the future of psychotherapy. Apart from other conferences is the celebrated Evolution of Psychotherapy Conference. The Foundation organized the first Evolution conference in 1985 in Phoenix. It was instantly hailed as a landmark conference—“The largest gathering ever devoted to the practice of psychotherapy” by TIME. At the suggestion of Virginia Satir, the conference was repeated every five years. A four-year cycle was initiated with the 2009 conference.